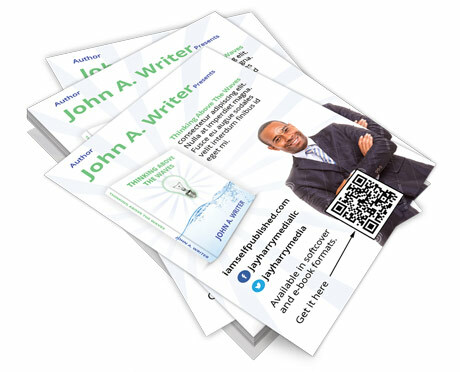 Whether you are at a book fair, trade show or out in the public, a custom flyer design is a great way to pique the interest of people whom you come into close contact with. Your custom flyer will also include your social media profile URLs and a QR* code for direct web access to your book from the potential buyer’s mobile device. Includes a quantity of 1000 flyers.